Marcin is a director at BPEA. He oversees the firm’s research process, and sources, reviews and conducts due diligence on investment opportunities. Marcin also monitors BPEA’s fund investments, their underlying portfolio companies, and direct investments. 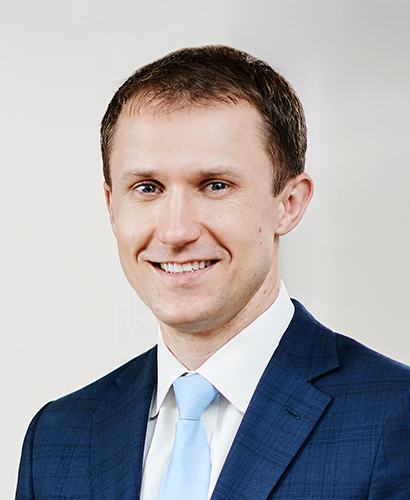 Prior to joining BPEA in 2008, Marcin was an investment associate at the UNC Management Company, the asset manager of the endowment for the University of North Carolina at Chapel Hill and affiliated institutions, where he served on the limited partner advisory committees of numerous private partnerships. He also has experience with Dogwood Equity, a $74 million buyout firm in Raleigh, North Carolina, and with the Aurora Funds, a $234 million venture capital firm in Research Triangle Park, North Carolina. Marcin began his career at Hewitt Associates, where he worked as an analyst in the defined contribution practice and later the corporate finance group. Marcin received a BA in economics from Rice University, a Masters of Arts in law and diplomacy from The Fletcher School at Tufts University, and an MBA with highest honors from the Kenan-Flagler Business School at the University of North Carolina at Chapel Hill, where he was awarded a full fellowship.